WWE’s first-ever all women’s PPV Evolution is set to take place in less than one week. A six woman tag team match has now been added to the card that will see Bayley, Sasha Banks and Natalya take on the Riott Squad. 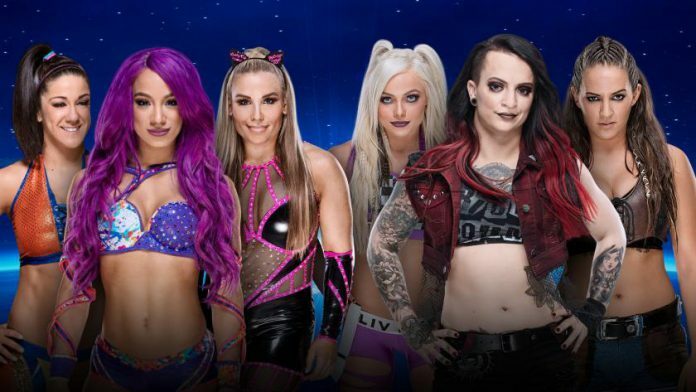 After weeks of building tension and animosity, The Riott Squad will attempt to forcefully take the torch of the Women’s Evolution from those who pioneered it when they collide with Sasha Banks, Bayley & Natalyain six-woman tag team action at WWE Evolution.